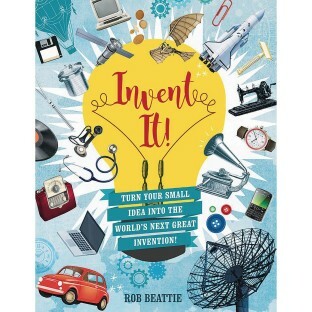 You’re never too young to start inventing! From idea to prototype to selling the product: this imaginative book teaches kids that they’re never too young to start inventing! What should kids do when they have an idea? Put it into action! This fun and informative book takes budding inventors through the entire creative process—from brainstorming, designing, and prototyping, to patenting, manufacturing, and marketing. It is packed with all the tools and tips needed to turn a concept into reality! 64 pages. Hardcover.